Dunbrody Abbey (südlich von Campile (Ceann Poill)) wurde 1170 von Herve de Montmorency gegründet, und ca. 50 Jahre später fertiggestellt. De Montmorency war auch der erste Abt von Dunbrody und ist hier begraben. Der Niedergang der Abtei begann, als der letzte Abt Mitte des 16. Jahrhunderts seine Konfession wechselte und das Anwesen in privaten Besitz überging. 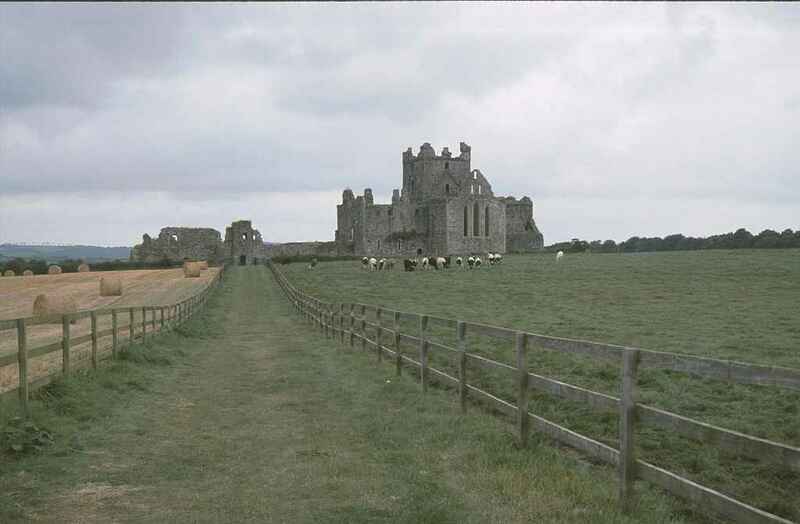 Dunbrody Abbey (south of Campile (Ceann Poill)) was founded in 1170 by Herve de Montmorency and finished about 50 years later. De Montmorency was also the first abbot of Dunbrody and his remains are buried here. The downfall of the abbey began when the last abbot changed confession in the middle of the 16th century and the estate was privately owned afterwards.